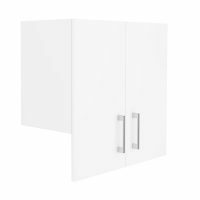 Featuring a sensible design with dual action doors, this 60cm Alpine Wall Cupboard will snugly fit into the corners of your kitchen. 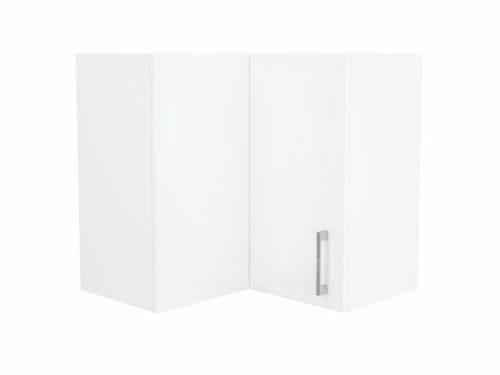 This left hand hinged cupboard presents quiet and gentle operation, thanks to soft closing doors and drawers. Installation is just as impressive; given it is preassembled, you will face no problems in installing this cupboard wherever you want. The build quality of this corner wall cupboard is top notch. 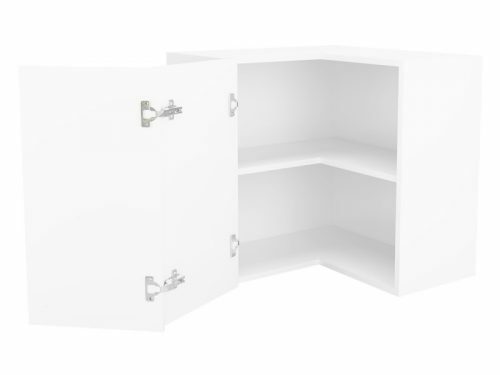 On account of superior craftsmanship and high grade materials, this corner wall cupboard will withstand many years of heavy usage. It is made from fine quality HMR board; therefore, it is extremely resistant to moisture, sturdy and durable. The surface is scratch resistance and features a smooth gloss finish. 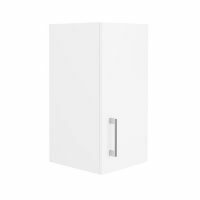 A highly attractive cupboard, the Alpine Corner Wall Cupboard features a rich, white finish on all sides and exhibits a sleek chrome handle. 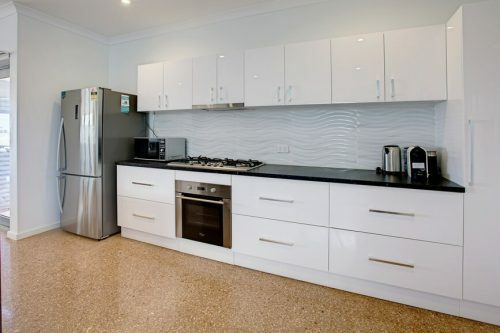 You can keep this cupboard in new condition by simply running a damp cloth over its surface. 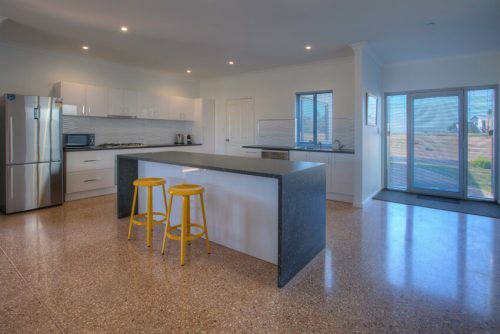 As a first rate product, a 5 year guarantee is offered on the quality of workmanship and materials used on this, and all, Alpine Wall Cupboards. Buy the one cupboard, or for true peace of mind, order the whole kit and caboodle with Ross’s. 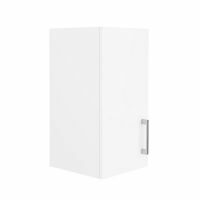 Purchase this elegant Alpine Corner Wall Cupboard at an unbeatable price, only at Ross’s Discount Home Centre!